Max van der Werff and RT journalist start crowdfunding for MH17 documentary | What happened to flight MH17? Citizen journalist Max van der Werff and RT journalist Yana Yerlashova recently started a crowdfunding at Kickstarter to be able to make a documentary on MH17. According information on the Kickstarter website the couple intend to make the docu because ” 5 years on the official investigation is still intransperant, many questions remain unanswered and there are quite a few reasons to doubt the official version of events.”. Yerlashova states she left RT to become an independent journalist. However her name is still listed as an employee at the RT website. Also her Linkedin page shows she is currently working for RT. And her Facebook page shows she is currently working as ‘Author and Director’ for RTD Documentary Channel. The claim of being independant suggest both are not linked to any organization and are also unbiased. That is a false claim. Van der Werff visited the area where MH17 crashed twice. At one occasion he initially denied cables could be seen from an apartment building. However his own photos showed he was wrong. He did publish a mea culpa. Working on a documentary together with a RT journalist for sure does not help for an image as an ‘independant researcher’. Yerlashova cannot be called an independant journalist. Both documentaries he she made for RT only show the Kremlin narrative of the shotdown. Many conspiracy thinkers like Joost Niemoller, Peter Haisenko and Bernd Biedermann are shown in the docu ‘Reflections on MH17‘. Not a single person debunking the Kremlin narrative can be seen in the documentary. Haisenko told a lot of nonsense on MH17. The same applies for Niemoller and Biedermann. The other docu made by Yerlashova for RT is called ‘a year without the truth‘. Max van der Werff can be seen in this docu. 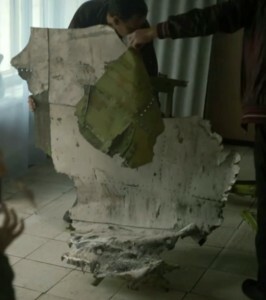 Yerlashova claims on Kickstarter she found important plane debris but “these never made it to the final report of the Dutch Safety Board” . It should be noted that the final report was made public at October 13, 2015. The pieces of wreckage were ‘found’ by Yerlashova in June 2015 and handed over to DSB somewhere end of August or September 2015. That was too late to be included in the final report. DSB showed the piece of wreckage found by Yerlashova to the press at October 13, 2015. Left the wreckage photographed in Eastern Ukraine. 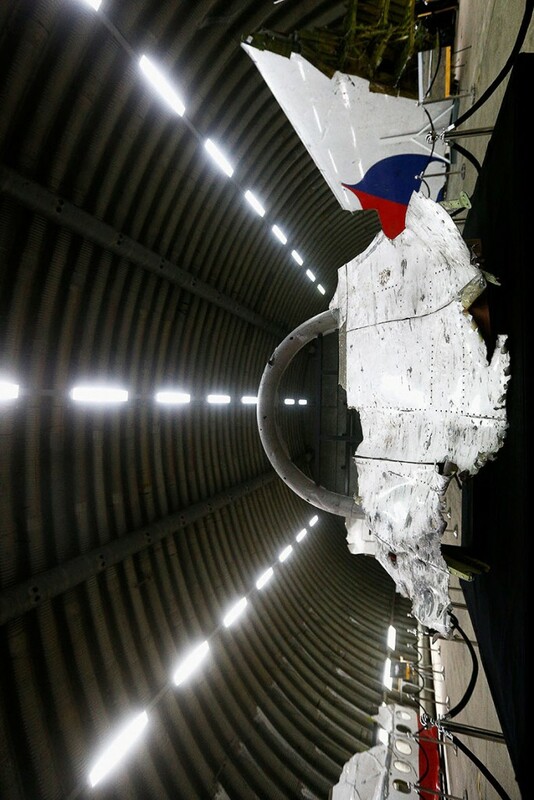 Right the same piece of wreckage photographed in Gilze Rijen, the Netherlands at October 13, 2015.